As soon as the weather starts to warm up even the slightest bit, I try to add a little bit of color with a Spring wreath. Then, gradually add more life with plants and color. 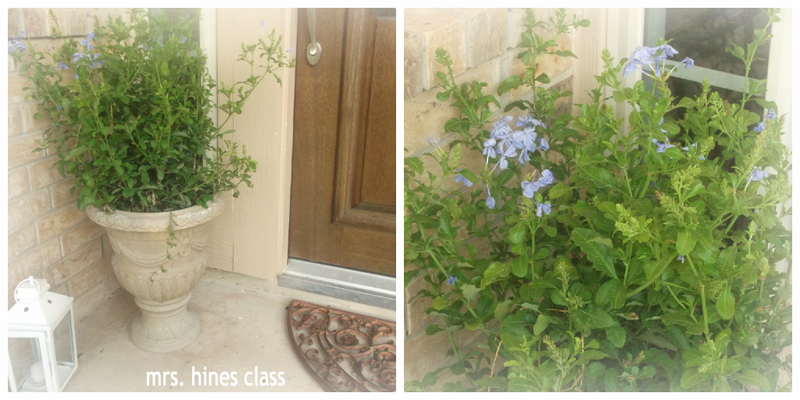 A white lantern and the vibrant blue of plumbago brighten up the corner by the front door. The pillows were changed out, and greenery and fun coral votive holders were added to the table. 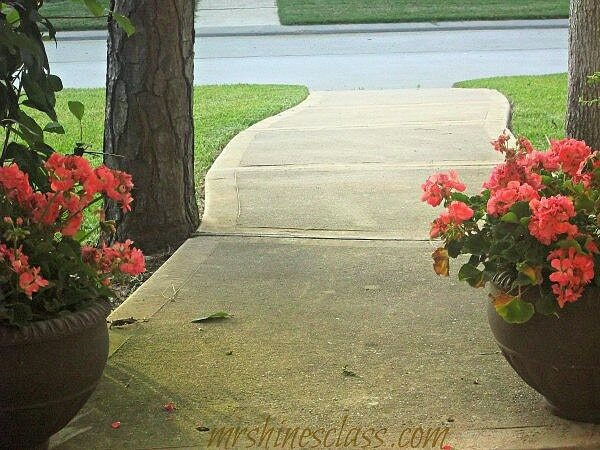 Pink geraniums fill the once empty pots. Now that it has warmed up outside, I’m really looking forward to spending more time enjoying my front porch. 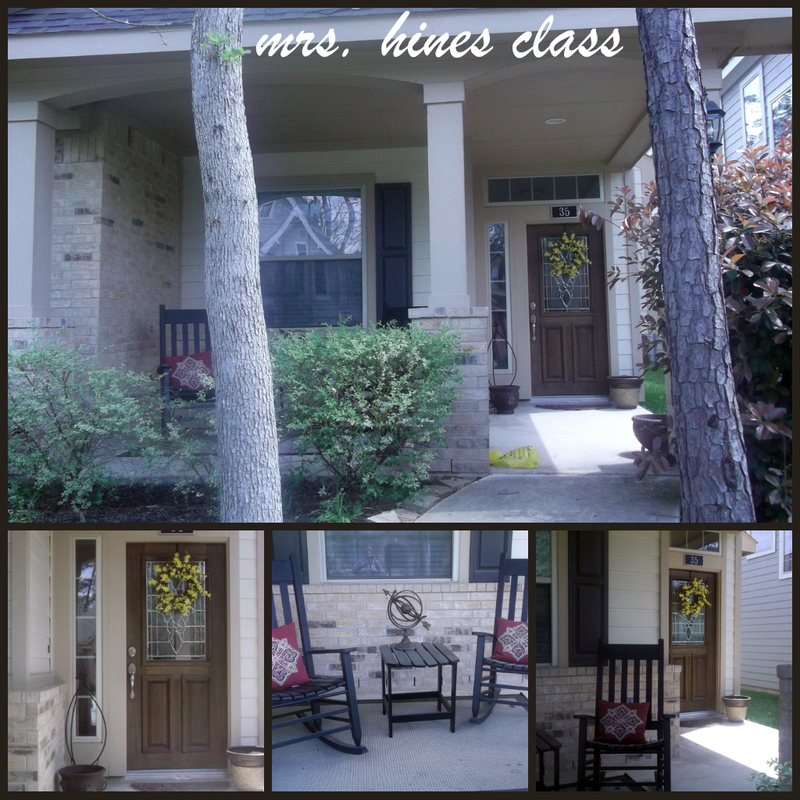 It was a joy to share my front porch makeover with you today. If you’re ever in the neighborhood, come sit a spell. Very pretty Sharon….love the wreath…so summery and beautiful! I bet you just love rocking away on the porch! I love your front porch and the wreath is great! You just inspired me to make a wreath for the summer. Thank you! Very pretty Sharon. I just spruced mine up too over the weekend! I would love to come sit a spell with you. Makes me want to come over and sit with you on that lovely porch! Love the porch the wreath is great and very cheerful. Makes you want a glass of iced tea. Your front porch is amazing! I love the pink geraniums 🙂 What a great place for a glass of iced tea! or a glass of red wine. 😉 glad you like my porch! Yes, I do Shirley…it’s one of my favorite things to do. I will….in fact I need to get out there more often. Such a pretty update, it was fun to have a tour through the seasons! I love your pillows! I’m glad you enjoyed your visit. I bought the pillows this season and you can still get the pillows at Target. 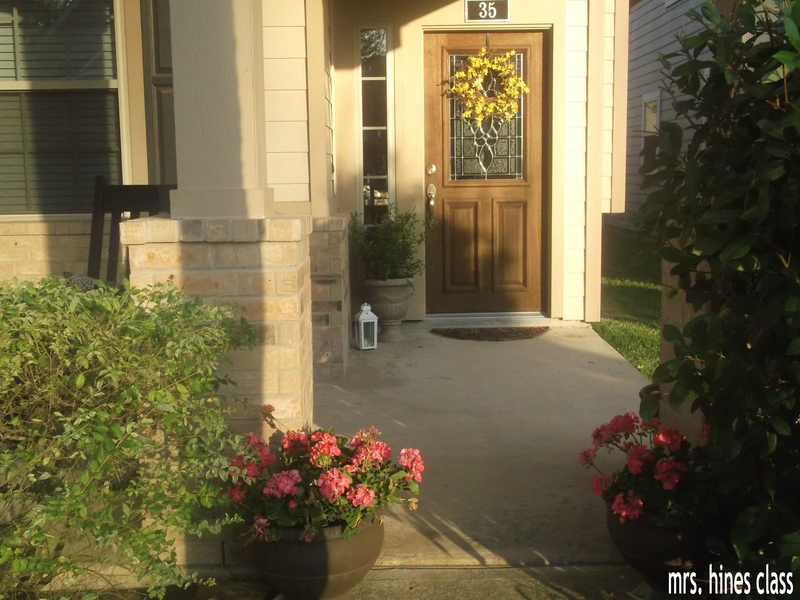 Love all the transitions your porch goes through. 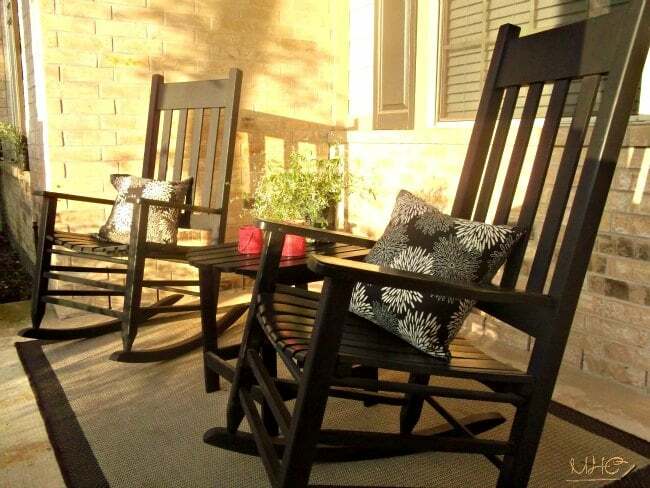 Love the rockers…they are perfect for a nice chat with a friend or neighbor. 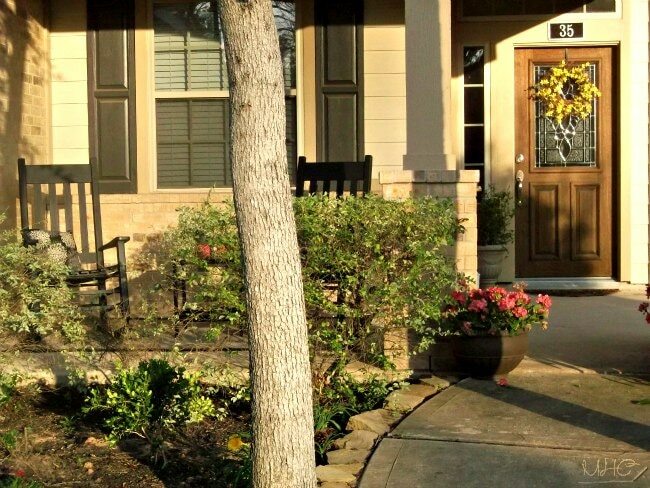 For many, many years I didn’t have a front porch and wanted one so badly. So now I go a little crazy decorating it. lol So much fun! Thank you, Susan! I absolutely love my front porch and don’t think I could ever not have one. I love watching your porch transformations too. Happy to have you visit!